The drunken revelry has reached such chaotic heights this year — with drunken brawls on the beachfront and a tourist falling to her death out of a car window — that the authorities have decided to call time on the wild festivities. “Obviously, people are getting a little out of hand,” he said, sitting on a seafront wall with friends. The 23-year-old fell out the window of a speeding car on the road to the airport as she leaned out to yell, “Bye Miami!” She was then hit by another car and killed. 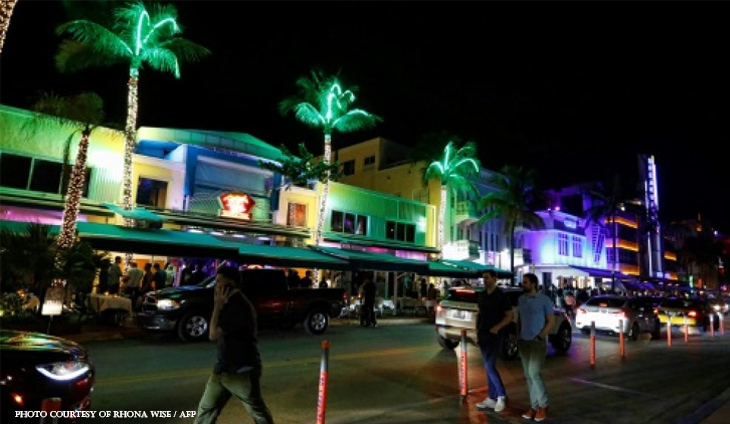 “I think we need to eliminate this Spring Break phenomenon as soon as possible,” said John Elizabeth Aleman, city commissioner for Miami Beach. “I think we need to make it a lot less fun to be here, unfortunately, for that type of tourism,” she said. “This is not a place where everything goes, and if that is their reason for coming here, they should go elsewhere,” said Mayor Dan Gelber.